FREE LETTERMAIL SHIPPING in North America! Have a hole in your palm you need to patch? Don’t want to send your gloves away to get re-palmed? We have the solution! Using the EXACT SAME Nash palm material used on many glove palms and our special adhesive backing, you can repair your glove palms on your own. 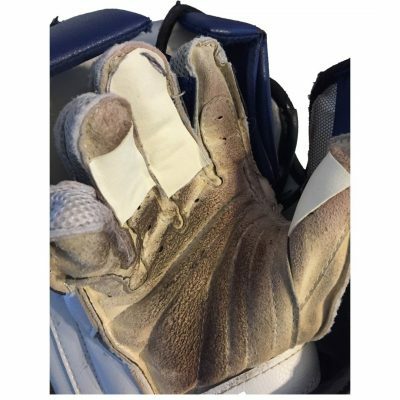 You’ll get enough Ivory, Black or Grey Nash palm material to cover 1 normal glove palm (9″L x 7.5″W). Best of all, our great price includes FREE LETTERMAIL SHIPPING anywhere in North America ($10 to all other countries). 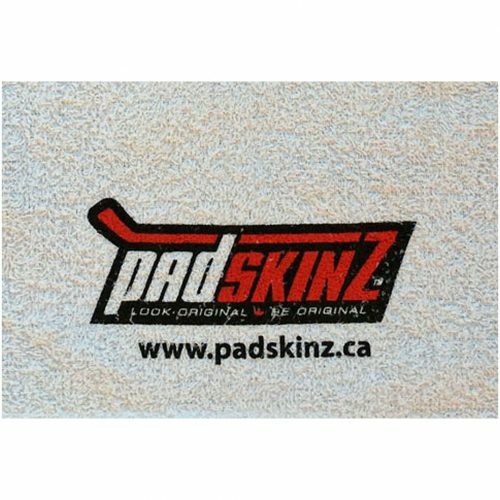 To apply PalmSkinz, simply cut out the desired size and shape, peel the adhesive backing off and apply it just like a sticker! Please review the “Apply / Remove” page located under the PalmSkinz Info tab to better familiarize yourself with the installation process. PalmSkinz are also 100% removable and not permanent. Quick and simple repair made easy by Chameleon Sports.